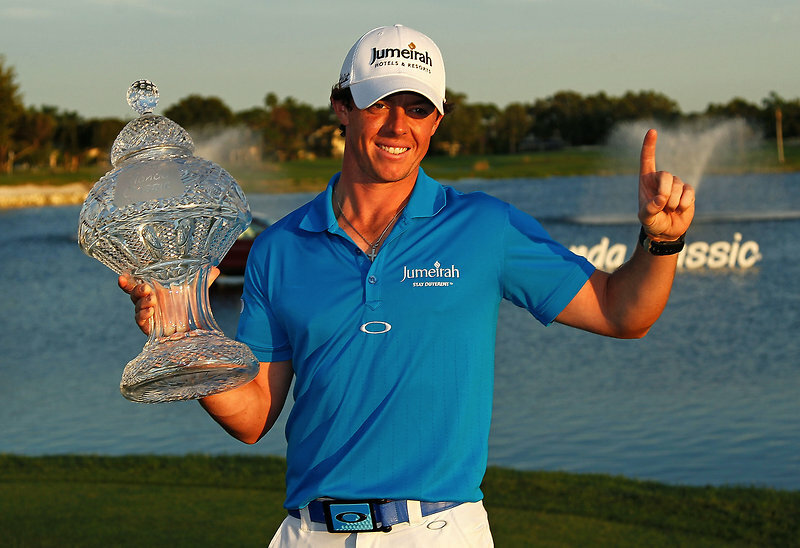 Oakley Legend Rory McIlroy became the new World Number One after winning The Honda Classic in Florida by two strokes at the weekend. It’s incredible to think that this Golf genius from Northern Ireland is still only 22 years old. Rory McIlroy had to withstand the pressure coming from a late charge by some guy called Tiger Woods… Whoever that is? But it was no worries in the end for Rory, dropping only one shot in the final round for a 12 under-par total. We found a couple of videos by Oakley featuring Rory McIlroy and Ian Poulter, talking about their Oakley Sunglasses and other Oakley accessories or apparel. They’re all well worth a watch, especially the outtakes video, so we’ve included them in this post for you to enjoy. In this video, Rory talks about the Oakley Fast Jacket sunglasses – his frame of choice for the golf course for their light weight, superior comfort and easily hot-swappable lenses thanks to Oakley’s trademarked Switchlock technology. Watch the video to see for yourself. 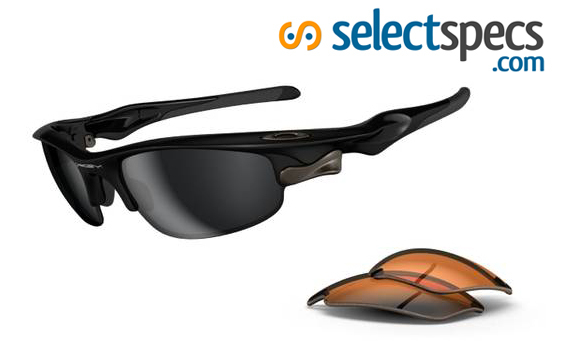 The Oakley Fast Jacket Sunglasses with Switchlock interchangeable lens technology from SelectSpecs.com. Not only do these look really cool, but the switchlock allows the wearer to easily change the lenses to suit the conditions of the course, while at the same time holding the semi-rimless lenses securely in place. This video is especially funny as Ian Poulter attempts to talk about Oakley sunglasses… All we can say is – don’t give up your day job Ian 😉 – needless to say these are the outtakes. This time Oakley’s Ian Poulter gets it right and tells you all about the Fast Jacket Sunglasses, I wonder how many takes it took him? Here Rory McIlroy talks briefly about the Oakley Golf Apparel brand and how he finds Oakley sports clothing so comfortable to wear when he’s out on the green.